Holy cow! How did it get to be December 31st already? I am completely unprepared to write this traditional end-of-year post but here we go. I did not even come close to my goal of reading 515 books in 2015. I was so busy with finishing my last semester of grad school this fall that reading sort of fell off the priority list. I only read 394 books this year, 76 of which were novel-length. Despite not making my reading goal, I have to say that 2015 was a great year for books. 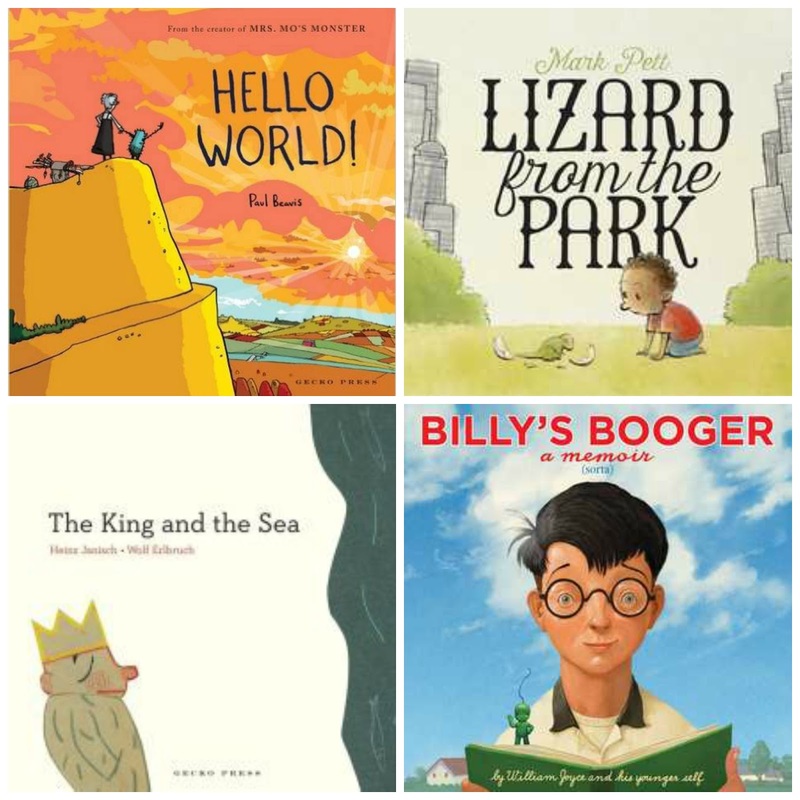 I didn't read much middle grade this year, but I had many YA and picture book favorites. Poetry doesn't always have to come in words. Sometimes poetry speaks in pictures, movement, music, or all of these things at once. 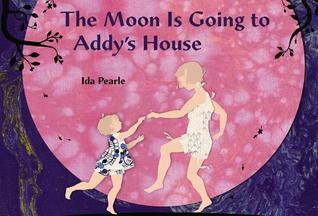 The Moon is Going to Addy's House is a beautiful example of how poetry can be created in the confluence of art forms. It is a book that feels both classic and modern, both back in time and of the time. 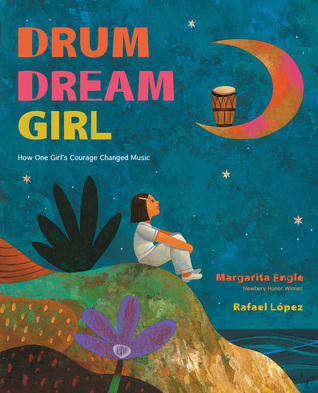 This is the story of Millo Castro Zaladarriaga, a young Cuban girl who wanted desperately to play the drums, but she lived in a time when only boys were allowed to play them. 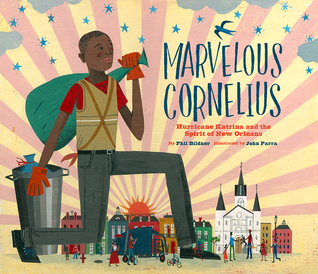 This book is a gorgeous poem that celebrates the power of a passion, which is paired beautifully with Rafael Lopez's vibrant, dreamlike illustrations. 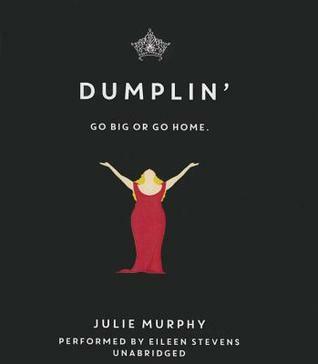 This book is everything. This book is about as perfect as a book could possibly be. This book isn't just about Sadie. This book is about us all. We are all Sadie. Some of us just have to look harder to find her within ourselves than others. But she is there. 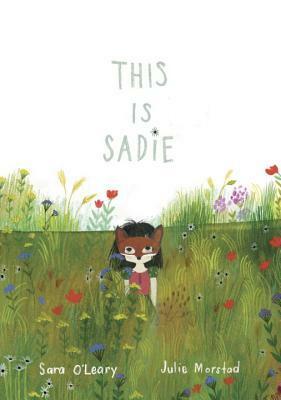 To quote one of my 8th graders, "Sadie represents the child within us all." 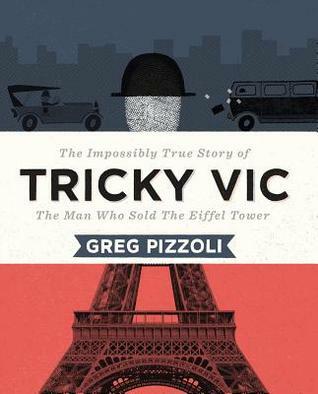 Tricky Vic: The Impossibly True Story of the Man Who Sold The Eiffel Tower by Greg Pizzoli This is what all nonfiction should be: exciting, engaging, and page-turning. Wow! Any guy who conned Al Capone and lived is a guy worth reading about. I was born in the very late 70s (Two months before 1980, in fact) but despite the fact that this book takes place in 1975-1976, an incredible sense of familiarity and nostalgia from my own childhood came creeping into my experience of reading this book. Little details as simple as the screen door on Sunny's house in Pennsylvania to the way the Sears logo looked back then, Jenni and Matt Holm clearly did their research on even the smallest of details from this time period. 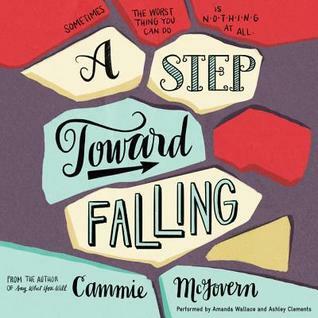 More importantly though, Jenni and Matt Holm tell a heartfelt and compassionate story about a young girl who comes to realize the torment her family is experiencing at the hand of her brother who is overcoming substance abuse. It is through Sunny's experience that many kids will see their own families and the ways a family member's struggles become an entire family's burden. 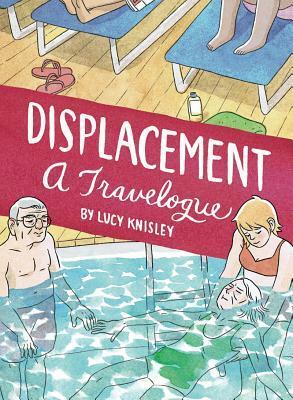 In this graphic memoir, Knisely, accompanies her grandparents, who are failing in health and mental faculties, on a Caribbean cruise. It is a sensitive, earnest, fatalistic look at family and mortality, yet also done somehow with a lighthearted touch. 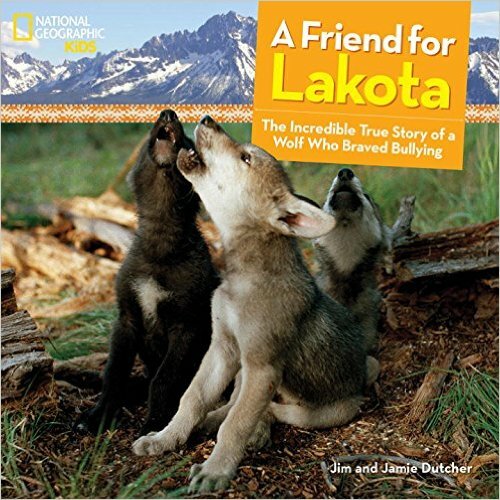 This is one of the most stunning audiobooks I have ever listened to. 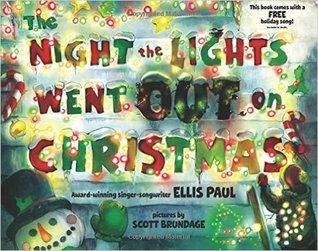 As someone who studied classical piano for over a decade, the musical themes and accompanying soundtrack with the audiobook made this story come alive. Echo is a book for not only the readers in your life who love music, but also for those sensitive readers who are looking for books to be transcendent – to give you an experience beyond your emotions, becoming almost a spiritual experience. 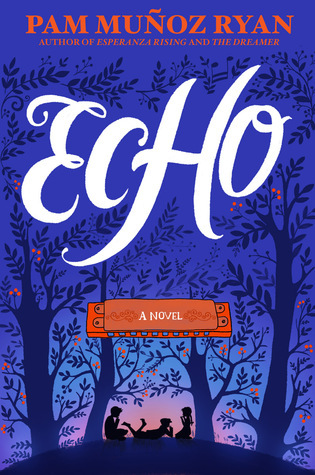 And that is what makes Echo more than just a heartprint book for me – it is a book that feeds my soul. Ryan Dean West is my all-time favorite character in YA literature. I'm so glad Andrew Smith brought him back for a sequel to help readers heal from the sadness that occurred at the end of Winger. Books save lives. And they change hearts and minds. This will be one of those books. This book is in your face enough to start conversations, but nuanced enough to make it more than a black vs. white, us vs. them issue. 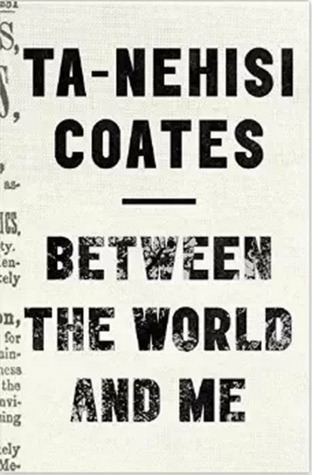 This book is a great ladder to Ta-Nehisi Coates' book which is also on my list of favorite books of 2015. Before I read Engle's memoir in verse, I had very little desire to ever visit Cuba someday. During and after reading Engle's memoir in verse, I have now very eagerly added it to my bucket list. 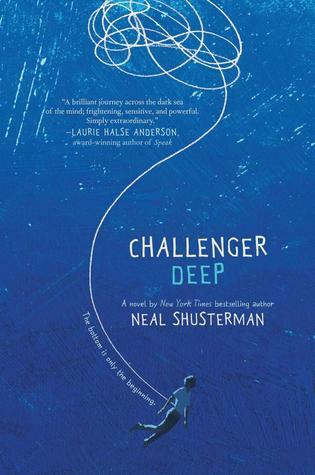 An incredibly powerful and personal tale of a young man's descent into the depths of schizophrenia. The book is a masterfully woven extended metaphor that would benefit a close reading of certain passages because important details are sure to be missed upon first reading. Tori Spring is a modern-day female Holden Caulfield. 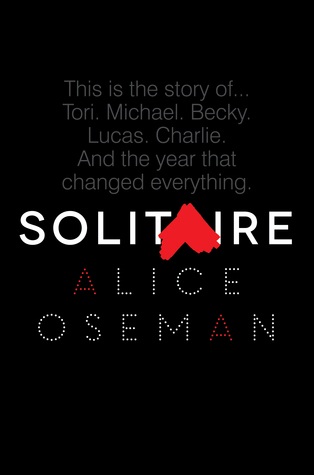 Solitaire is a genius work of young adult fiction. It is both literary and accessible. 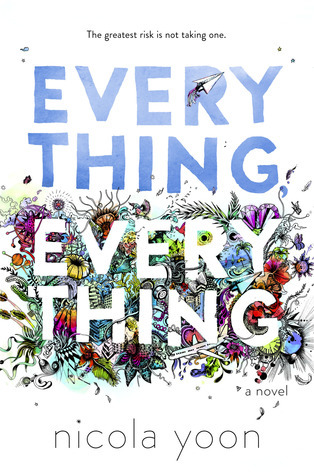 It's a book that I think hasn't been given enough marketing buzz, and so I will be personally recommending it to anyone who likes a good angsty teen drama with a whip-smart, self-deprecating protagonist. A book that will continue conversations started by All American Boys by looking further into the depths of white privilege and how black bodies are treated in this country. A book every white American should read and one that will make you uncomfortable. That's supposed to happen. And while you wade around in your discomfort, just know that many others continue to drown. 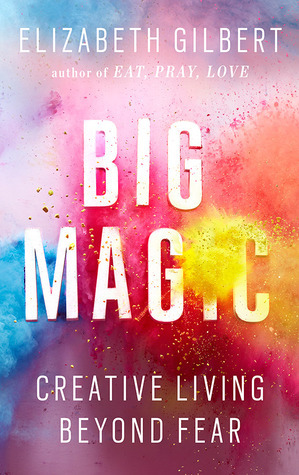 Big Magic is a revelation. It is a paradigm shift in how we should approach creativity. Elizabeth Gilbert posits that we need to throw away the trope of the tormented artist in favor of lightness, curiosity and play in our creative work. She has definitely inspired me in how I will approach my writing life from this moment forward. Bring on Christmas break! I'm making up for all the reading I missed out on over these past few months because of finishing up my last semester of grad school. 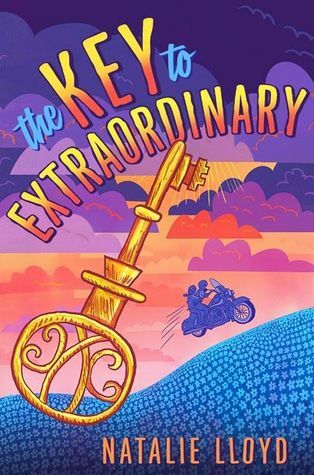 While it took me longer to get into this book than A Snicker of Magic (I was in by page 1 of that one), The Key to Extraordinary still has that sweet, sensitive, magical prose that Natalie Lloyd is becoming known for. 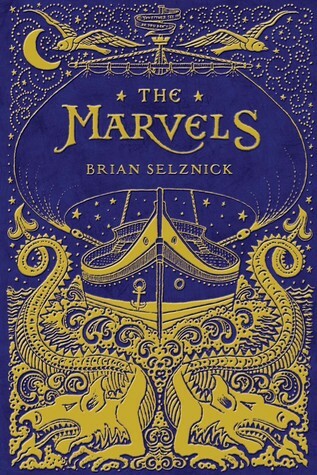 An enjoyable read, though I liked Wonderstruck and The Invention of Hugo Cabret better. Transformative. World-view changing. A book every American should read. I didn't get as much reading done this week as I had hoped. I'm in the throes of grading finals before we leave for Christmas break so I'm hoping this week I will go on a reading binge now that Christmas break starts at noon today. Actually, this is a bit of a misnomer to say I'm reading this with my ears. I started reading it with my ears last week but quickly realized this is a book I need own and read with my eyes because I will need to annotate it like crazy. So I bought a copy and will be reading it over Christmas break. Hey everybody! I'M BACK!!!! It feels good to be back. Unfortunately, I haven't done a whole lot of reading the past few weeks because I just haven't been able to focus on anything other than grad school. 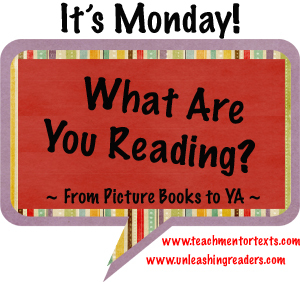 But I will share some of the things I've read and enjoyed during my blogging break. I need to write a full review of this book soon. It is life-changing and soul-stirring. It came at the perfect time for me as I was finishing my master's degree. And I don't usually read adult books, but I got a taste of this book over the summer when I listened to Gilbert's Magic Lessons podcast and I knew I had to read the book as soon as it came out. In this sequel to Winger, fifteen-year-old Ryan Dean West is now a senior in high school and is still dealing with the aftermath of what happened at the end of the first book (no spoilers here!). Not talking about it however has resulted in some psychological torment that seems to be playing out most noticeably in his dreams and in his drawings, which once used to bring him solace. Now his rugby coach wants him to play a position that will no doubt dredge up a lot of painful memories despite the fact that he still doesn't know how to handle his own grief. To make matters worse, Ryan Dean has been given a twelve-year-old freshman roommate, Sam Abernathy, who has his own psychological issues to deal with. No matter how hard Ryan Dean tries to be a jerk to Sam, he can't seem to shake the kid, and they turn out to be quite the comedic odd couple throughout the entire story. I'm going to come out and make a bold proclamation right now: Ryan Dean West is my favorite character in all of YA literature. He is hilariously dysfunctional and even though he claims he only swears in his head, not out loud, this book, along with Winger, has a whole lot of swearing going on -- and you know what? I absolutely love that about it! Andrew Smith is the poet of expletives. 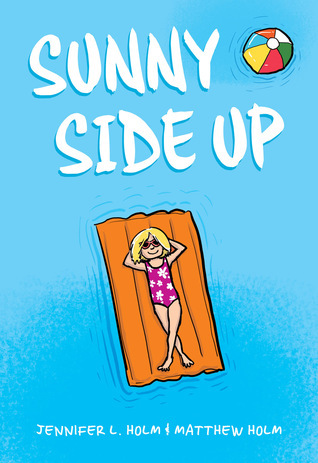 The addition of Sam Abernathy, Ryan Dean's equally dysfunctional twelve-year-old roommate, makes this a novel you will no doubt be laughing out loud while reading. And that is the genius of Andrew Smith. While you are busy laughing, there is also a great deal of heart and healing going on. As Smith recently said at a dinner I attended at NCTE, he felt like he needed to write a sequel to help readers move on from the trauma that occurred at the end of Winger. And with Stand Off, he achieved that in spades. Since this is partially a food blog, I'm also going to give a shoutout to Andrew Smith for using Sam Abernathy's obsession with the Cooking Channel as comic relief in the story. When Ryan Dean can't deal with his own feelings, he always seems to be commenting on the strange dishes or new cooking techniques the Abernathy is watching in their shoebox of a dorm room and that always gave me a good chuckle. If you are a lover of YA literature and haven't read Winger yet, stop what you're doing and go read it right now. And then when you're done with Winger, after you curse out Andrew Smith for ripping your heart out of your chest (based on some of his Facebook posts, apparently readers do send him angry emails cursing him out), then you'll immediately want to pick up Stand Off. And once you read Stand Off, all will be right with the world again. Let me take you back to January 2014. 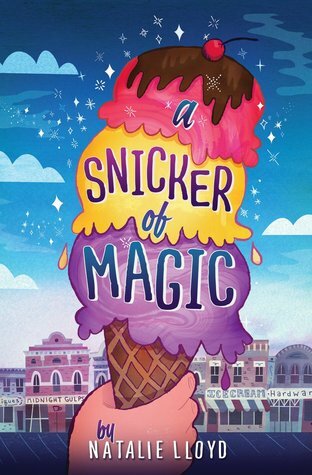 On a whim, I downloaded the eARC of a book called A Snicker of Magic by debut author Natalie Lloyd on NetGalley because I had heard great things about it at NCTE but didn't get a chance to pick up a physical ARC there. And from there a Twitter friendship was born. 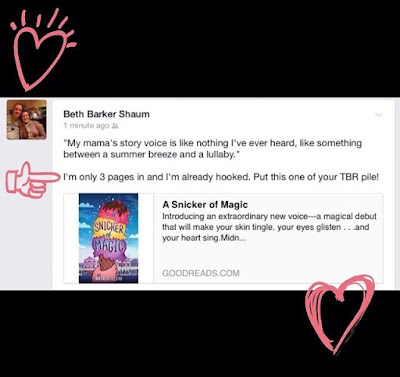 I gushed over how much I loved the magical town of Midnight Gulch and the crazy ice cream flavors she conjured up at Dr. Zook's Dreamery Creamery (seeing as how I'm a fan of crazy ice cream flavors myself) and I continued to evangelize my love for this book long after I finished reading it. I wrote my review of the book for the Nerdy Book Club blog instead of my blog because I wanted it to receive a bigger audience so more people would read it. I interviewed Natalie here on the blog the same day my Nerdy review went live. I went so far as to drive three hours to meet Natalie at an event near Columbus, Ohio and made her my version of the signature flavor of Dr. Zook's Dreamery Creamery: Blackberry Sunrise. Over a year later and we still exchange emails and tweets back and forth. She even Skyped with my 8th graders back in May. If you want to read Natalie's new short story entitled "When the Ghosts Come Out to Dance," as you should, then visit The Stacks. Read Mrs. Mo's Monster before reading Hello World. It will make more sense that way. 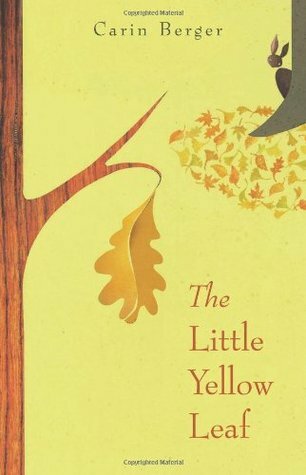 I absolutely loved this book and have so much more to say about it. I hope I can find the time to write a full review on it. But I will say this: reserve judgment for this book until you've read it at least two or three times. In one reading you are sure to miss many delightful little details that will suddenly give this story new meaning. 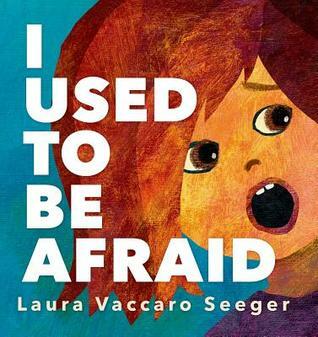 It's now one of my favorite picture books of 2015. A unique and captivating book about a king and each page is a different story about how he interacts with the world. 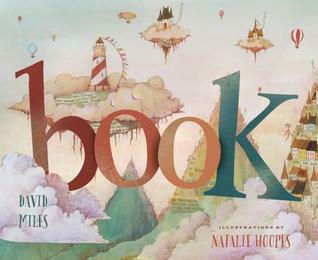 Lots of philosophical discussions are sure to ensue when reading this book with a group of students. 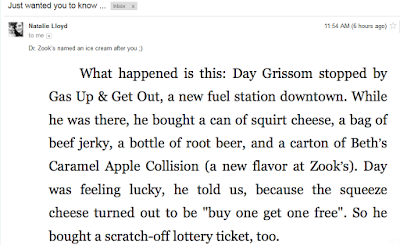 I know this book deserves a better rating than I gave it on Goodreads (3 stars), but I just really can't get past the idea of the word booger being in the title. There are certain gross things that make some people laugh and other people cringe. I'm in the latter category with this one. That doesn't mean I don't recognize that this is a great piece of writing and has wonderful artwork. I just wish it weren't about a booger. 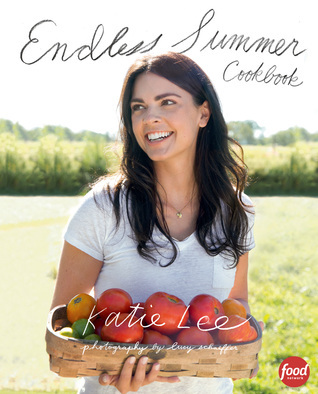 In Endless Summer, Katie Lee invites readers to her home in the Hamptons, a place of beauty and bounty. Lee shows readers a different side of the Hamptons, one that is different from the life of indulgence, excess, and snobbery that is so often portrayed on TV and in movies. Here, Lee shows a more laid-back, down-home side of this place and while I'm still not completely convinced that it isn't the snobbish, persnickety hamlet of which it has been long portrayed, I also appreciate that Lee is giving readers a different view into this community that she loves. 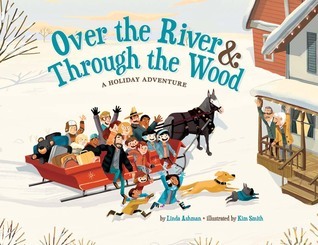 As winter is approaching, a book like this just makes me long for an endless summer even more. Cold weather and I don't get along and so perhaps on those gray, depressing days, I can pick up this cookbook and remember what I have to look forward to when warm weather finally makes its way back to the northern hemisphere. Individual recipes in this cookbook don't particularity stand out to me. Instead, it's the tone and the vibe of the book that intrigues me. The simple, clean layout along with the lovely yet no-nonsense writing makes Endless Summer a cookbook worth picking up and perusing even if you don't end up attempting any recipes from its pages. It's interesting that I finished both of these books this week because Sunny Side Up could most certainly be a reading ladder that could eventually lead to reading Fun Home as both deal with some very heavy family issues. ETA: I want to make it clear that Fun Home is not a direct rung up the reading ladder from Sunny Side Up. 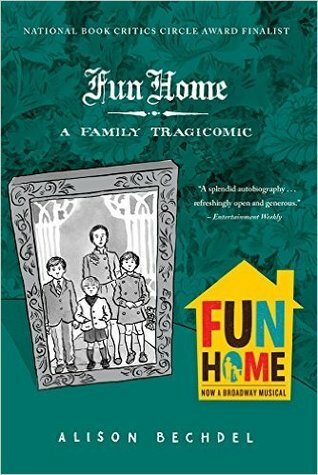 Fun Home is a VERY adult book and I wouldn't recommend it for anyone under 17. 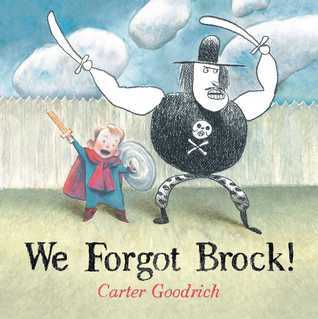 Where The Adventures of Beekle tugs at your heartstrings, We Forgot Brock tickles your funny bone. A fun story and lovable illustrations about a boy who leaves his imaginary friend at the fair. 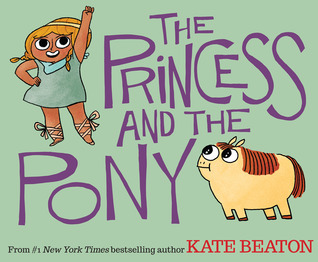 This book is lovable and hilarious and I just want to hug it. An intriguing story about a wolf cub who experiences bullying in his own pack and how a friend stood up for him. 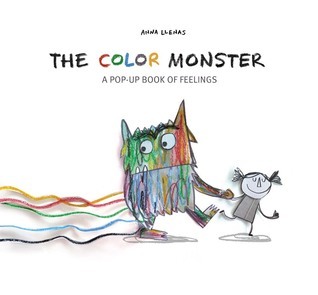 An absolutely gorgeous pop up book that would be a great mentor text to discuss how we associate and describe feelings with colors. 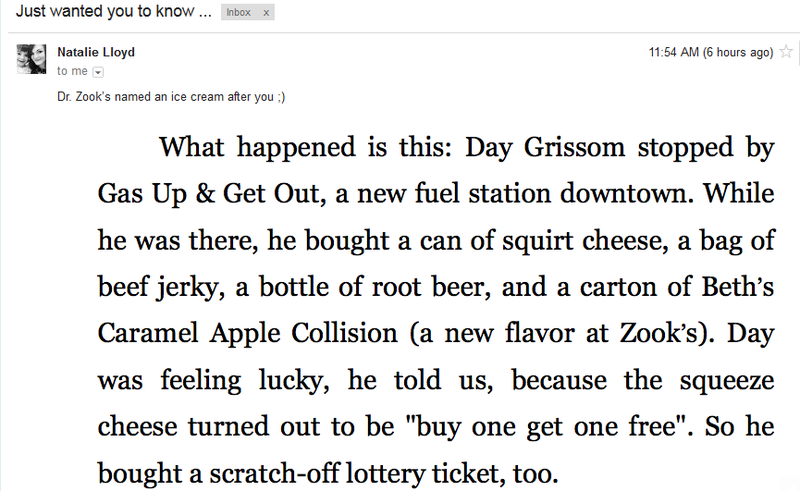 I think this book might have gotten me out of my audiobook slump. It's all those podcasts I've been listening to that's been making my interest in audiobooks wane. 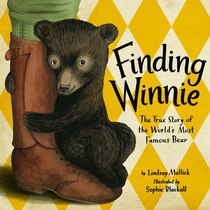 I've been abandoning quite a few audiobooks lately but I definitely want to listen to this one.